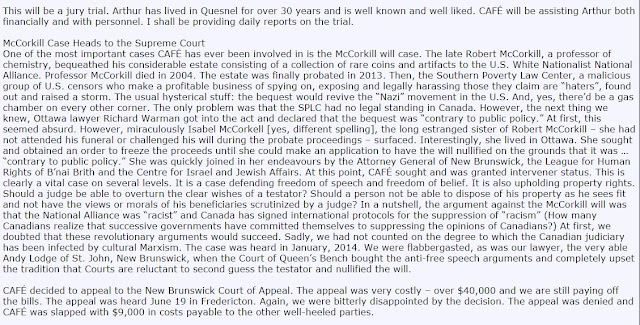 Currently Paulie is in BC where he is attending the Arthur Topham hate crimes trial and suggesting the anti-Semitic ravings of a raving loon are somehow justifiable because of (both accidental and willful) poorly translated Jewish writings. But you know where Paulie isn't right now and is unlikely to be for some time? Yeah, we know. But sometimes being petty is fun. November is shaping up to be an interesting month. 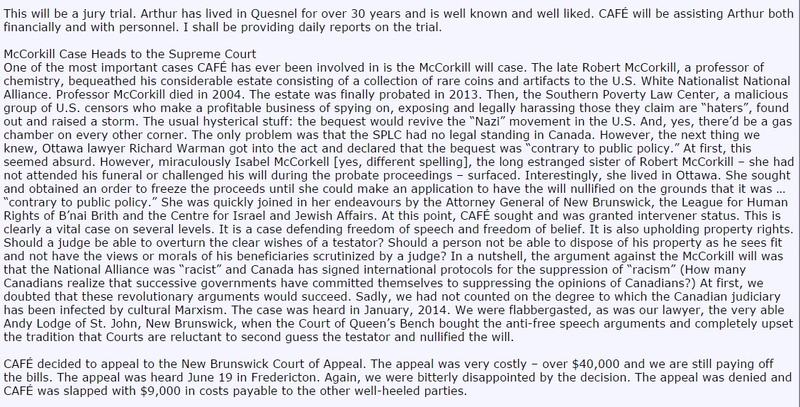 Dean Clifford is going to be sentenced and the Topham trial should prove to be interesting, especially if he goes through with calling David Duke to testify on the veracity of the Protocols of the Elders of Zion. That won't end well, by the way. We also learned today that Kevin Goudreau's half-brother was convicted of murder in the killing of his mother back in 2012. Finally, a shout out to some new readers and friends on Prince Edward Island. Thanks for kind words and know that we here appreciate your support. Remember the commitment to, "intellectual propensity" and see just how that pans out. Though it looked like Justin Trudeau's Liberals had the momentum during the dying days of the federal election and would likely win a plurality of seats, it seems few predicted the scope of the victory. The Liberals were able to win a very strong majority at the expense of both the Conservative Party and the NDP. At one point though it looked like the Conservatives might be able to pull off a victory in spite the the distrust many Canadians had for the government and Mr. Harper in particular. Taking advantage of the court ruling that a woman could take the Oath of Citizenship wearing a niqab, the Conservatives used identity politics to appeal especially to hard supporters in their base to get out to vote. The Conservatives implied that they, and they alone, could protect Canadians from the Islamist hordes at the gates of Canadian culture and that Mulcair and Trudeau could not be trusted to do what was necessary to safeguard Canada. By the way Kyle, when Fromm appears to have used your most recent legal troubles to solicit donations, did he contribute to help pay your fine? You know, never mind. We both know the answer to that question, and you can't say we didn't raise the alarm long ago. 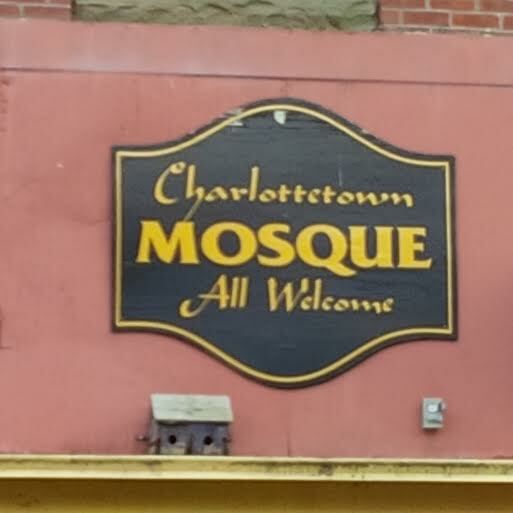 One of the claims of groups like PEGIDA Canada is that they are not against Muslims, but against "militant Islam," "Islamism," "shariah law," and any number of adjectives to justify their bigotry. 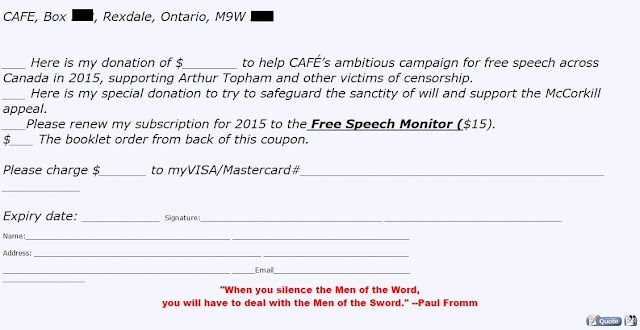 On the current political wedge issue, the niqab and whether or not it should be permitted during citizenship ceremonies, PEGIDA Canada suggests that the real concern they have is the poor women forced to wear the niqab which they further claim is a symbol of violent male oppression against Muslim women. PEGIDA Canada and like-minded groups want to liberate women from oppression and violence and one way to accomplish this is to ban the niqab (as well and the burka and hijab, but it's all grist for the mill). 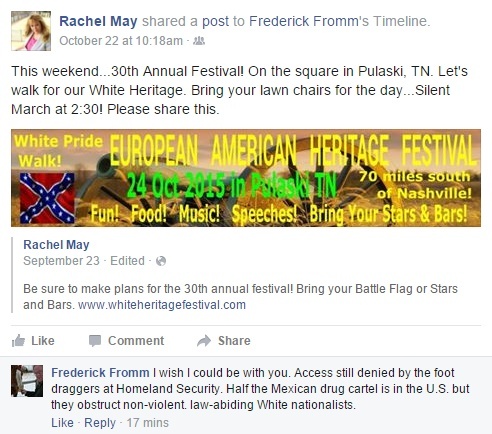 It's good to know that there are organizations out there like PEGIDA Canada. They, and their supporters, really just want women to be free from violence. Her roots in Canada stretch back through her francophone mother to the 1600s. Last week, wearing her Islamic face veil – the niqab, which has become a central issue in the federal election – she says she was trying to enter Shoppers Drug Mart at Toronto’s Fairview Mall when a man carrying a liquor-store bag blocked her path and then drove his elbow hard into her shoulder, in front of her two daughters, ages nine and four. “It hurt, yo,” Safira Merriman, 30, said in a Facebook post describing the incident. The identity issue playing out in election debates and in courtrooms is now being felt in the streets, shopping malls and on social media, as disparaging remarks and even outright assaults draw attention to a charged political environment. 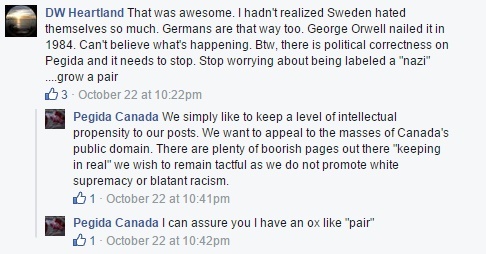 So, how did the folks at PEGIDA Canada respond? We first learned that Craig Cobb was trying to establish an all-white slum.... er.... community again even after his Leith fiasco back in June, though we couldn't claim to be surprised. His efforts then were met with a collective, "sigh, this again?" from his erstwhile ideological allies who had grown tired of his publicity seeking which they found to be embarrassing, though to be fair he does still maintain some support. Also not surprising was the efforts of the good people of Antler, ND who managed to thwart Cobb's efforts to establish a PLE and rename the village after Donald Trump, which contributed to his also not surprising public temper tantrum on Stormfront. We briefly mentioned Ruhe a few weeks ago in reference to Paulie's horrible, rotten, no-good 2015, but didn't really talk much about the man himself other than posting a link to a recent article about Ruhe in the "Gerorgia Straight." 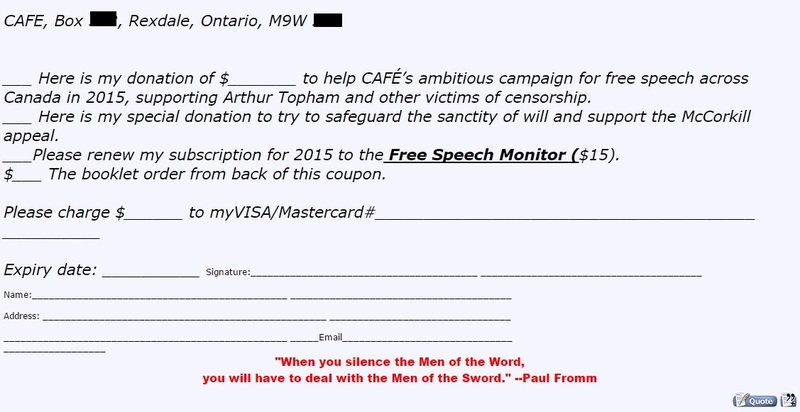 Brian Ruhe is was a continuing-education instructor at Capilano University teaching courses on meditation and Buddhist philosophy, however on learning of his other activities, some of which might have been taught in his classes according to one anonymous poster in the comments section of the "Georgia Straight" article, Ruhe's contract was not renewed. In short, Brian Ruhe is Canada's 21st century poor man's version of Savitri Devi, though he justifies his antisemitic Hitler worship based on a warped interpretation of Buddhism and, unlike Devi, Ruhe has the charisma of a lightly-used dish rag.